WiFi has become a vital part of the modern enterprise. It enables your employees to have access all over the office, and is easy to use and connect to. Nearly every company uses it, but the truth is that not every company secures it as well as they should. How an organization manages their connection to the internet is incredibly important to their security. Far too many times a company will have a single passphrase for all of their employees, which then will spread to non-employees and other outside users. This opens your network up to unwanted users, and puts your entire network at risk. A malicious user could simply walk into the lobby or parking lot, and get easy access. This is just one example of poor access management, and there are many critical steps that should be taken to ensure the security of your network. 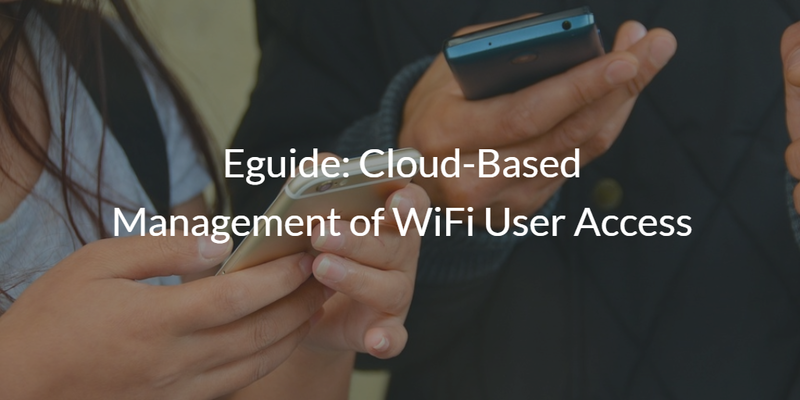 To help organizations lock down their networks, we created a eguide that shows how you can have cloud-based management of your WiFi user access. In it, you will learn how networks have been secured in the past, how most organizations control their wireless access today, and how organizations can improve their control over their wireless infrastructure. You can find this eguide by clicking on the image below. Many of the traditional methods used to secure a network are through old methods for wired networks. This could mean backending a wireless network through user access and port-like control. Often, organizations will implement control over their network through LDAP or RADIUS integration. However, these tools are all difficult to install, configure, and manage. The complexity has actually driven some companies away from using them at all, leaving their networks exposed. Now though, these tools can be employed as-a-service, enabling companies to have the high level of security they want without the overhead of implementing and maintaining the tools. This is possible with Directory-as-a-Service®. Directory-as-a-Service enables organizations to use LDAP or RADIUS for their WiFi, all through a SaaS based directory service. IT admins only need to point their wireless access points (WAPs) to the DaaS infrastructure through LDAP or RADIUS, and the rest is taken care of. Users are located within the cloud directory, and then once authenticated they can access the network via wireless. This essentially gives you a way to back-end your wireless infrastructure, without having to go through the installation and maintenance process of LDAP and RADIUS yourself. You can try out the unified cloud directory for yourself to see how WiFi management is possible through DaaS. Your first 10 users are free forever, with no credit card required. Sign up here. You can also reach out to us if you have any questions. 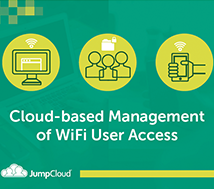 We would be happy to answer any questions on how cloud-based management of WiFi user access works.